Imba (Nikola Petrović) has been known to many people as a guy who promoted Goa trance music with his netlabel UAF Records and who gave a huge contribution to Neogoa Records on many compilations, especially on joint project entitled Future Architecture. 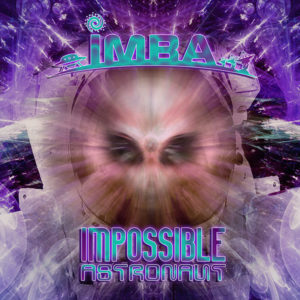 He is also a member of Goa trance groups such as Space Elves, Stellar Force, and Stellarians, but lately he has been known simply as Imba, a productive Goa trance producer who made an appearance on many different labels and who did a lot of interesting collaborations with other musicians. Now, the time has finally come for his debut, stand-alone release on Neogoa Records. Impossible Astronaut is a collection of his finest works, but with new refined sound and mix, with a lot more power and energy with interesting acidic melodies typical for his music. All tracks written and produced by Nikola Petrović (Serbia). Mastering by Igor Čeranić at Deimos Soundlabs with artwork design by Ivan Parić at Neogoa Design (Croatia). MP3 Download | FLAC Download | WAV Download · Download count: 6,648. Released under a Creative Commons license for noncommercial usage. Special notice: this release is available on limited digipak edition with additional two bonus tracks, including remix for Dimension 5 (Omega Centaurus) and collaboration track with Phargua. hope to see you back in belgium again soon! One of the best goa on this website! Excelent! “Klaki on acide “and” chloe’s thing” is very great track! !